No doubt very much involved in these long drawn-out investigations was the current Director of Criminal Investigations at the Inland Revenue, one Roy Clark. He had previously and very controversially been appointed as the Director of Investigations for a 5-year-term on the setting up of the toothless Independent Police Complaints Commission on 1 April 2004. He had been the Deputy Director of the highly controverisal Met's Ghost Squad in the 1990s; it was riddled with corruption. 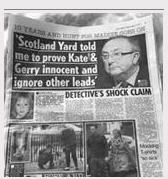 By the time that Jill Dando was murdered, 15 years ago today, Roy Clark had got himself quietly but rapidly appointed to the dizzy heights of Deputy Assistant Commissioner of the Met - just two steps away from the then Commissioner, the ineffective Paul Condon. In November 1999, 7 months after Dando's killing, with the police not getting anywhere, Clark removed the existing S.I.O. and I.O. and put Brian Moore and Hamish Campbell in charge as S.I.O. and I.O. respectively. 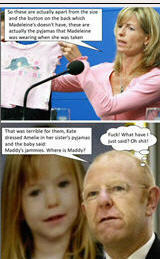 It was in May 2011 that Hamish Campbell was made the S.I.O. of Operation Grange - with Redwood as the I.O., beneath him. Why did Roy Clark make Brian Moore the S.I.O. in the Dando case? Could it have been because back in 1989, Moore was a central character at the corruption-infested Stoke Newington Police Station, where Ira Thomas was fitted up for the non-fatal shooting of Freddy Brett? 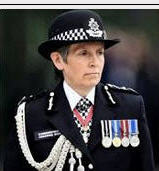 - by specks of firearms residue being put in a coat pocket - the very same technique that appears to have been used to wrongly put Barry Bulsara in prison for 7 years for allegedly killing Jill Dando? a murder, incidentally, regularly covered by one Clarence Mitchell, then of the BBC, who regularly told BBC viewers that this was 'probably the work of a Serbian hit-man'. Hamish Campbell may also have been made the I.O. on the Dando investigation because of his work on the unprovoked assault by a riot police officer on John Wilson in Trafalgar Square in 1996, which left him brain-damaged. Despite CCTV footage clearly showing a stocky riot officer bashing Wilson over the head wih a baton, then standing over his apparently lifeless, bleeding body (he had suffered two fractures of the skull) before smartly running off, Campbell, with all the resources of the Met at his disposal, couldn't identify the officer. One Ian Horrocks was Hamish Campbell's assistant on this inquiry. 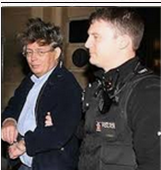 Horrocks was later to write two substandard, indeed, woeful, reports on the Madeleine McCann case for Rupert Murdoch's the Sun in July 2012 and again on 14 October 2013, timed to coincide with the BBC CrimeWatch 'McCann Special'. I think what clamps together everything in the bachground is the Jimmy Savile case still far from beeing investigated in full. Obviously Clarence Mitchell was installed in the 80ies by PM Thatcher as a Shadow Man for Jimmy. 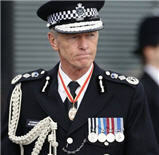 @Trajan wrote: I think what clamps together everything in the bachground is the Jimmy Savile case still far from beeing investigated in full. A fascinating and very interesting read that.